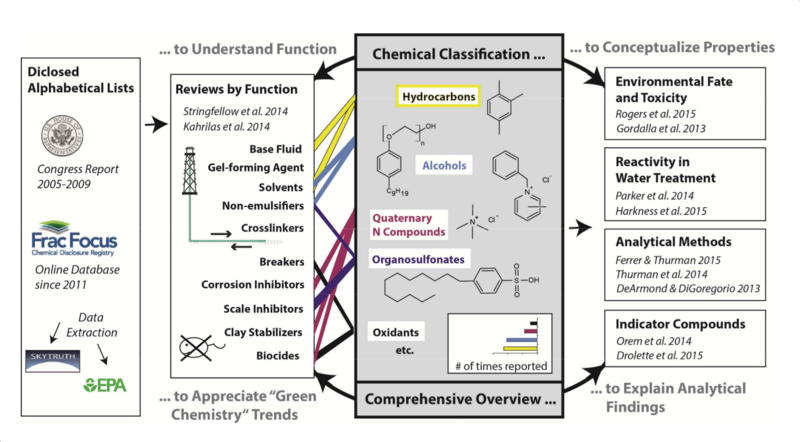 Of over 1000 reported hydraulic fracturing (HF) additives in unconventional gas exploitation, the physicochemical properties relevant for environmental fate, toxicity and chemical analysis were classified. 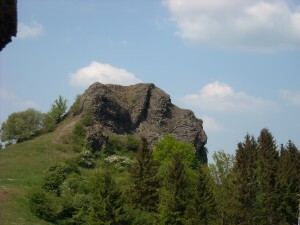 While many substances were nontoxic, frequent disclosures also included notorious groundwater contaminants like petroleum hydrocarbons (solvents), precursors of endocrine disruptors like nonylphenols (nonemulsifiers), toxic propargyl alcohol (corrosion inhibitor), tetramethylammonium (clay stabilizer), biocides or strong oxidants. 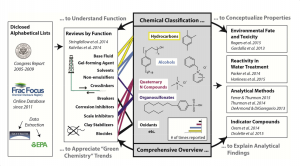 Application of highly oxidizing chemicals, together with occasional disclosures of putative delayed acids and complexing agents (i.e., compounds designed to react in the subsurface) suggests that relevant transformation products may be formed. To adequately investigate such reactions, available information is not sufficient, but instead a full disclosure of HF additives is necessary.